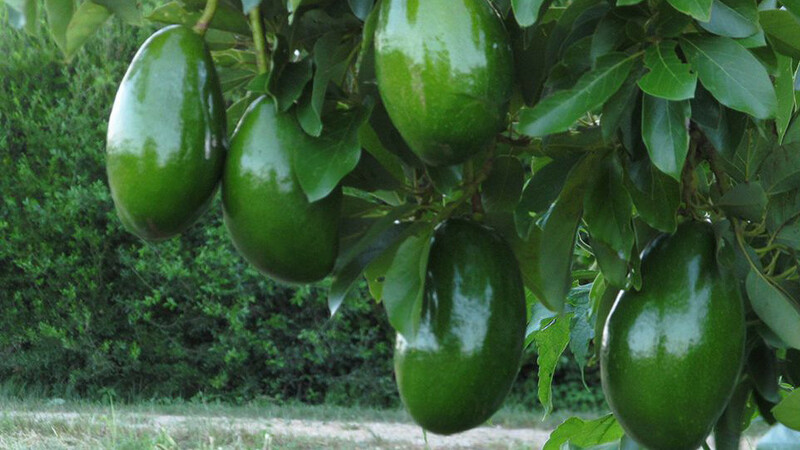 In the summer, our primary product is avocados. 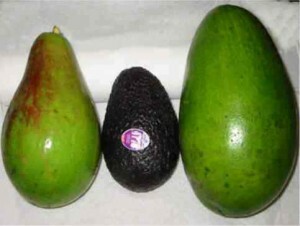 We grow the Donnie and Hardee varieties, both early avocados which average anywhere from 18-27+oz when mature and can reach 3 lbs or more. If you’re used to the small Mexican avocado varieties such as the Hass avocado, these will seem GIGANTIC to you! These pictures say it all. The picture on the left shows the nice flesh-to-seed ratio on the Donnie avocados. 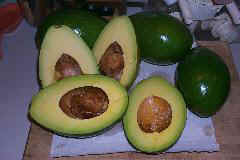 The other picture shows 3 avocados. The middle one is a Hass avocado- probably the kind your local grocer carries-flanked by ours. On its right is a typical Donnie from our grove, ready to eat. On its left is one of our Hardee avocados. It’s starting to change color, showing it is almost ready to eat. Its skin will turn a pretty burgundy color just as it ripens. We pick your fruit on the day it is shipped, ensuring the freshest fruit, best taste and top quality delivered to your door. They will be ready to eat within 2-4 days of receipt. Get on our mailing list and order as soon as we notify you harvest has begun, because, since we are a small farm, supplies are limited- when they’re gone, they’re gone!